Today, when you work with Dabbs Brothers LLC, you are - literally - working with two brothers, Warren II (Ducey) and Brandon Dabbs. 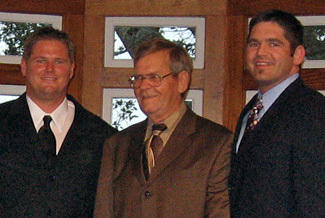 Dabbs Brothers is a family owned business that believes in the value of strong relationships. Our relationships with our clients are built on a foundation of open communication and honesty which simply begins by listening. At Dabbs Brothers LLC, each custom home starts with new clients sitting down with company owners Brandon and Ducey Dabbs to discuss goals, ideas and expectations. Once the home building process has begun, Dabbs Brothers LLC then turns to its network of material suppliers, building professionals, and manufacturers to insure that your new home is not only built on time but within your budget. Through personal communication with our clients and offering business and financial partnerships that come through 20 years of construction experience, Dabbs Brothers is able to deliver the craftsmanship and detail of a custom home with the value and affordability of a large track builder. The origins of today's Dabbs Brothers began over 40 years ago, when the late William Warren Dabbs owned and operated a small construction company that specialized in remodeling and additions. His sons, Ducey and Brandon, worked summers and holidays with their Dad from an early age, learning the trade from a true craftsman. In 1993, Brandon left for college and Ducey took the General Contractors exam for the state of North Carolina, becoming one of the youngest general contractors in the entire state. Ducey would go on to build hundreds of homes throughout the towns of Aberdeen, Southern Pines, Pinehurst and Whispering Pines, NC. 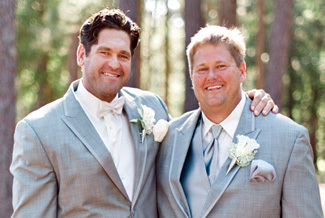 Then, in 2006, with the coastal housing market booming, Ducey and Brandon decided to unite again to create a company that combined and focused on each brother’s unique skills while also bringing back a family atmosphere. Through all of their success and growth over the years, Dabbs Brothers LLC still follows the traditions set forth by Dad, personally getting to know each and every client in order to better understand their needs and relate on a personal and friendly level.